The Super Bowl is one of the biggest—if not the biggest—sporting events of the year in the United States. Some people even care more about the Super Bowl than they do about the Olympics. It’s not much of a surprise, then, that the marketing potential surrounding the Super Bowl is huge, with brands spending an average of 5 million dollars to secure one tiny thirty-second commercial slot during the game. These commercials are a huge deal, but you don’t have to shell out big bucks just to take advantage of the benefits Super Bowl marketing has to offer. No matter what industry you’re in, you can take advantage of the hype surrounding the country’s biggest sports event without breaking the bank. By utilizing ShortStack’s templates, you can create engaging marketing campaigns designed to generate user-generated content, boost engagement, and collect leads. Guessing the final score of the game is a ton of fun, even when you know little to nothing about football or the players. Everyone likes to think they’re an expert, and you can create a “guess the score” activity with ShortStack’s templates. 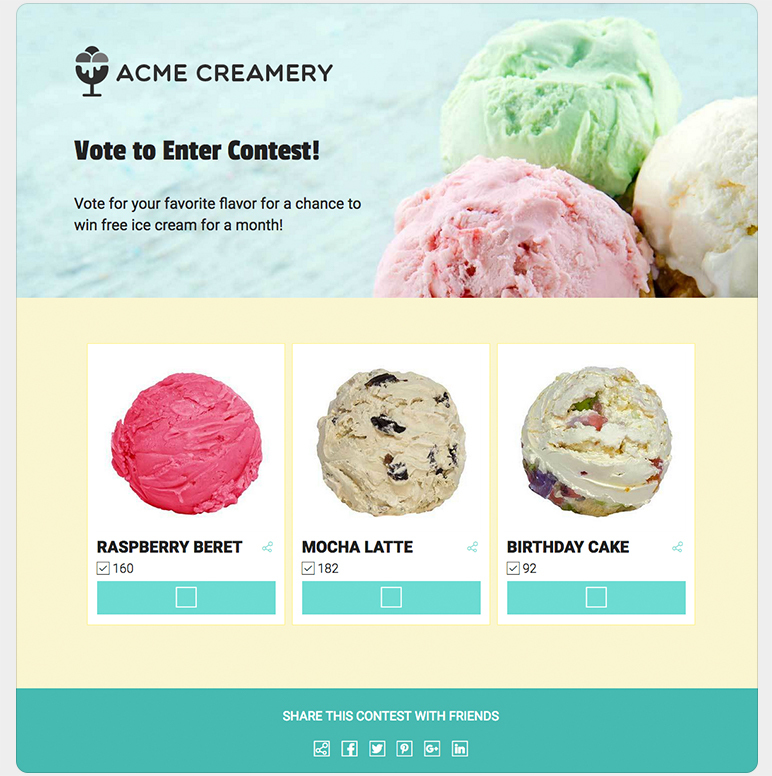 To increase engagement, you can offer users who enter the winning score—or the user who gets closest—a small prize, like a free appetizer at your restaurant or $15 off their next order. 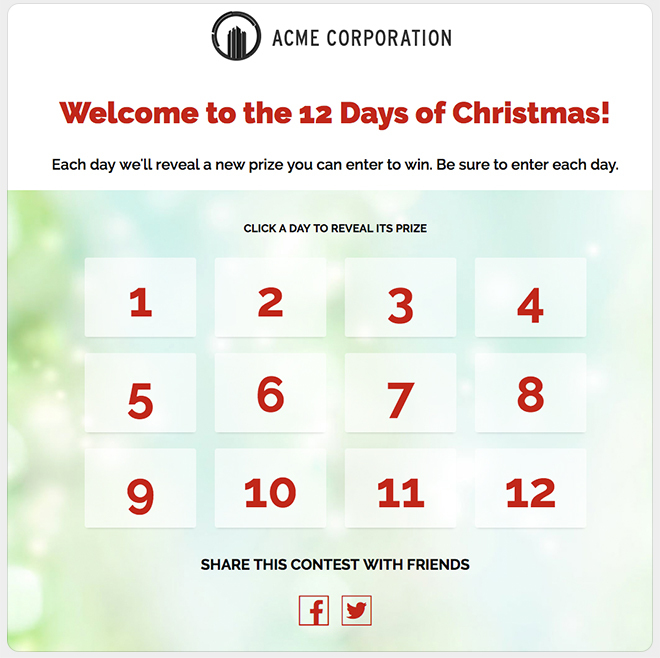 If you’re offering a prize, you can also ask users to leave their email addresses … that way you can contact them if they win, and also send them special offers in the future. Anyone who has witnessed even the most amateur Fantasy Football draft knows that people get insanely invested in their favorite players. They aren’t just rooting for teams, they’re convinced that #46 is going to be reason their team wins. Take advantage of their conviction! Set up a voting contest with a list of the most popular players from the two competing teams. You can either have people vote before the game if you want them to guess who will be the most influential, or ask them to vote afterward. You can choose a random winner, or offer everyone who participates a small discount or incentive like free shipping. 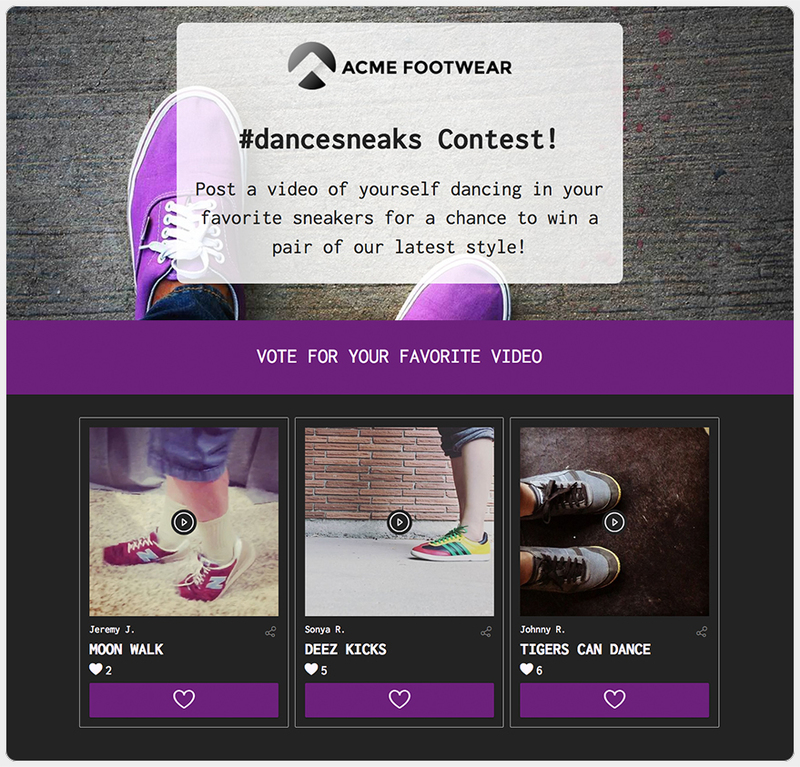 User-generated content (UGC) is unusually persuasive, and it’s great to have a stash of it on hand to post and share on social media and on your site. There are two main tricks to increasing your UGC. You need to give users exact instructions on what and how to post, and you need to make it something they’re excited about. What better opportunity do you have for this than the Super Bowl? Ask users to share UGC of their own version of a touchdown dance, and have them submit it through ShortStack so you don’t have to track it all down yourself manually. Another option is to ask users to share videos of the team cheers they’re doing at their own viewing parties. Everyone has a favorite food or recipe they like to make for Super Bowl parties. Hot wings, seven-layer dips, salsa and guacamole, and burgers are just a few examples, and plenty of people have their own specific recipes they use that they’re incredibly proud of. Ask users to share their favorite recipes, requiring that they submit both a picture and step-by-step instructions. This will give you plenty of UGC, and you might just get a few new ideas for your own Super Bowl spread. 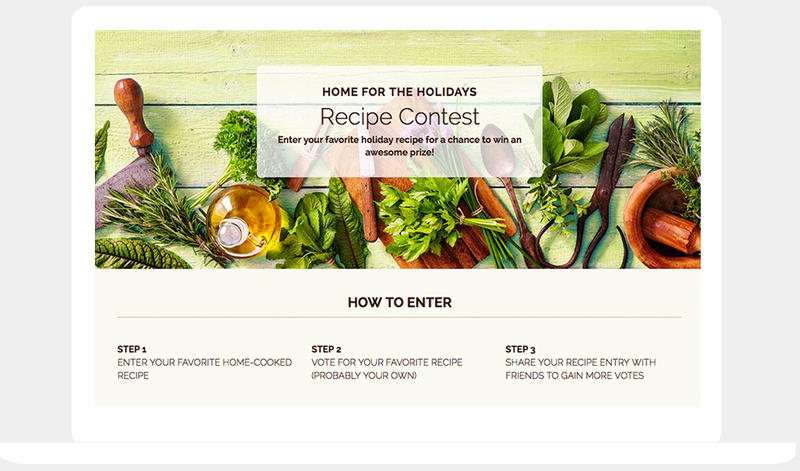 Not sure if a recipe contest is right for your audience? You can ask them to submit pictures of their cookout or their festive feasts instead, forgoing the recipes but keeping it food-related. Who doesn’t love a good, “Which Harry Potter character would you be?” quiz on Facebook? If you’ve met a Facebook user who hasn’t taken at least one of these quizzes, well, I want to meet that person! Which player would you be? What team would you be playing for? What Super Bowl food are you? What type of Super Bowl fan are you? 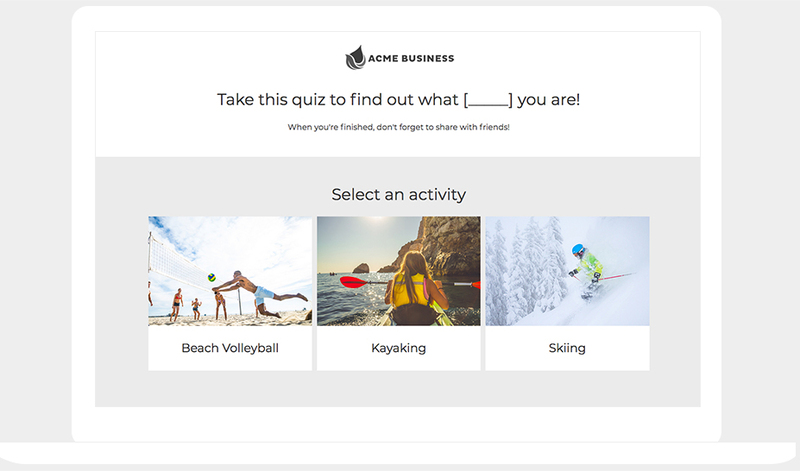 Use these quizzes to drive engagement, and use the leads you collect to run retargeting campaigns later on. Sometimes a current event makes us reflect back on our favorite memories, and the Super Bowl is that kind of event for many people. 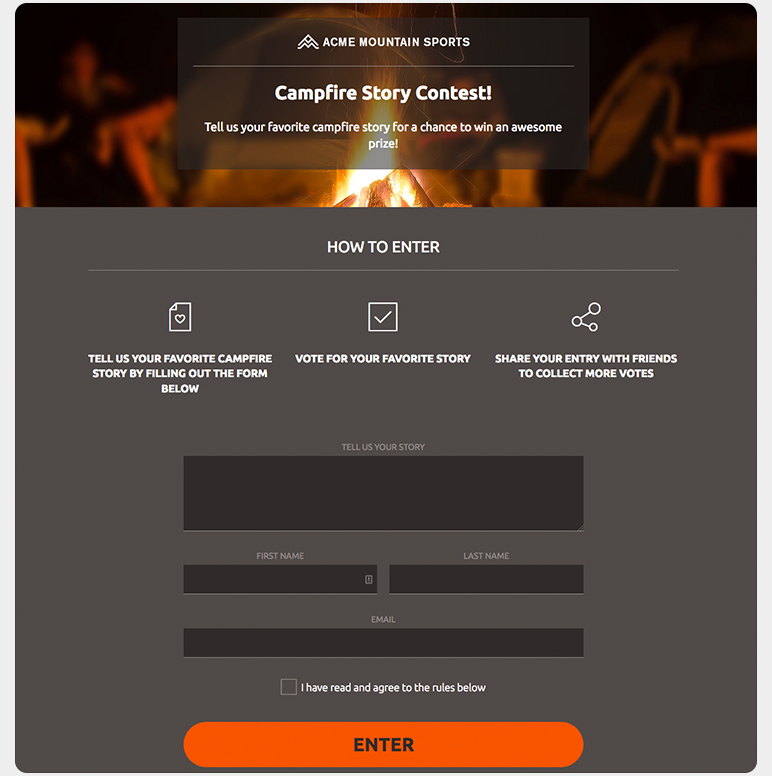 Host a story contest where users share their favorite game-day memory. You can ask them to submit a picture, or just make it about the story. Choose your favorite one, and offer them a Super Bowl-relevant prize that they’re sure to love. The days leading up to the Super Bowl are an excellent opportunity to promote multi-day giveaways. People are excited, and they just might be in a “gambling” mood. 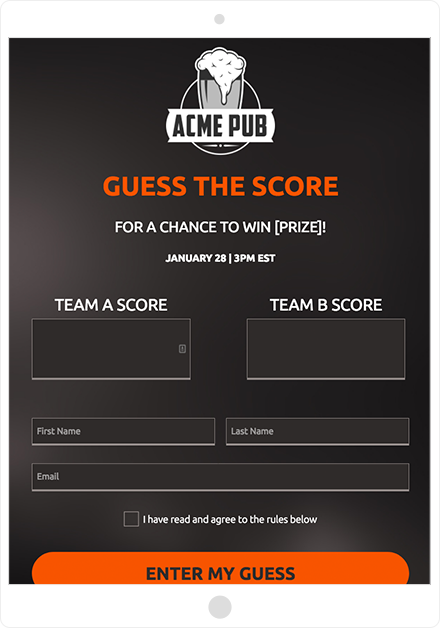 You can host daily trivia questions about the teams or Super Bowl history, or just daily random giveaways in honor of the Super Bowl. Offer small prizes relevant to the upcoming game, and utilize ShortStack’s voting restriction features to ensure that people can enter only once per day. There’s so much excitement and social-media activity revolving around the Super Bowl each year that you don’t want to waste it. Too many small and medium businesses dismiss the Super Bowl as not being industry relevant, costing them a big opportunity to attract new customers with fun, time-sensitive content. Try out some of our suggestions above as Super Bowl Sunday comes rolling around the corner, and let us know what works best for you!